Kennett Square, PA – April 12, 2017 Tangent Energy Solutions, Inc. today announced that it has been named as a 2017 Grid Edge Award winner by Greentech Media. Each year, Greentech Media seeks to highlight the industry leaders paving the way toward tomorrow’s distributed energy system. 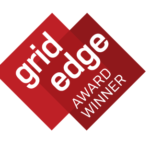 The Grid Edge Award represents the top twenty companies or projects that showcase innovative products, introduce new business models to the electric sector, or otherwise present alternative ways of managing the electric grid that are more efficient and reliable. 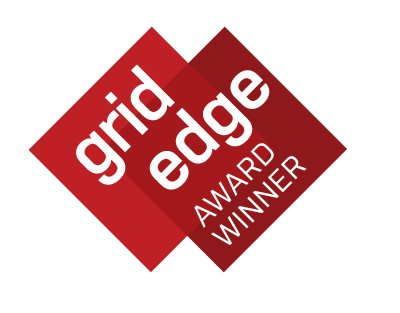 Tangent Energy was selected from hundreds of nominations and will be presented the award at the Grid Edge World Forum in June in San Jose, California. Started in 2014, Grid Edge Award winners have included start-ups, established technology vendors, utilities, energy providers and others. About Tangent Energy Solutions, Inc.
Tangent Energy Solutions, Inc. is a Distributed Energy Resources (DER) company that was formed through a collaboration between lead Investor EnerTech Capital, and Tangent Energy CEO Dean Musser. Our customer-side Distributed Energy Resource Management System (DERMS) actively manages behind-the-meter supply and demand in order to maximize economic opportunities for C&I energy customers, while minimizing disruption to normal operations. By uniquely building out a DER solution from the customer side of the meter and monetizing it through exclusive relationships with leading Load Serving Entities (LSEs), Tangent motivates and empowers customers to become price makers on the energy grid while offering customers the industry plug-and-play access that competitors cannot match.